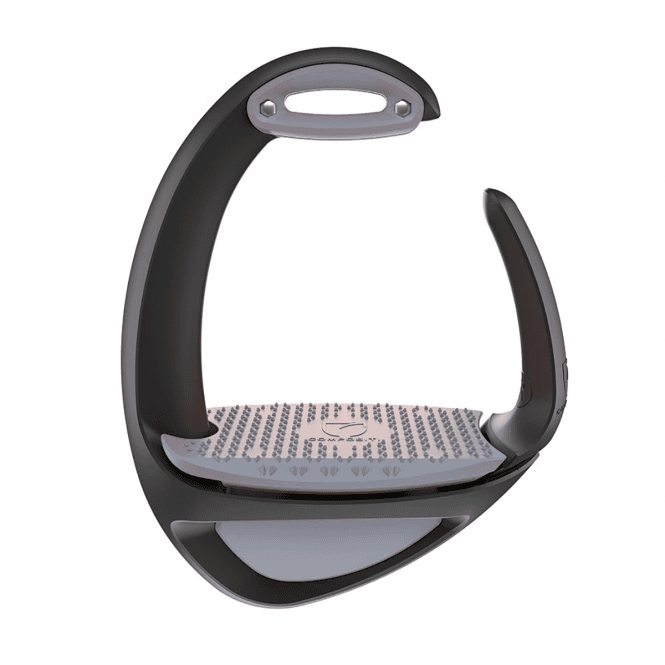 The Ellipse Stirrup from Compositi is the newest member of their Professional Series. Designed with rider safety and comfort in mind, this model takes a unique, robust, ovoid form, scientifically proven and independently tested to be stronger and more durable than more traditionally styled safety stirrups. The Stainless Steel “C Insert” acts like a flexible bow and provides maximum support right to the end of the tread, where the most force is applied. The strength and design of this stirrup make it unbreakable. The central design of this stirrup creates a perfectly balanced stirrup with a low centre of gravity. 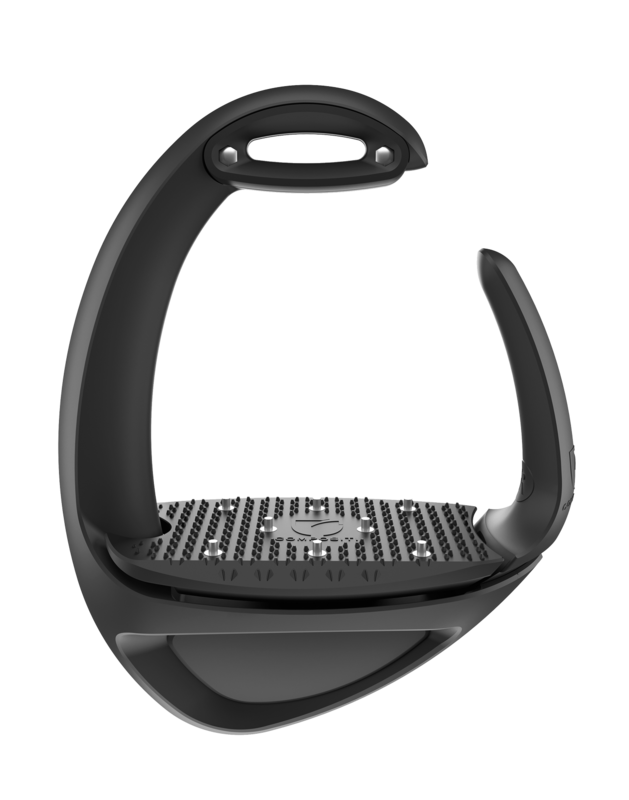 It also allows for a flexible, quick release side that frees the foot in the event of a fall, thereby preventing many injuries that often occur when riders get “hung up”. A shock absorbing sole absorbs impact and reduces tension in the knees and joints. All Ellipse stirrups are supplied with two types of interchangeable eyelets so that riders can customise their stirrups to their own personal requirements. One eyelet provides traditional positioning, while the other places the stirrup in a perpendicular position. 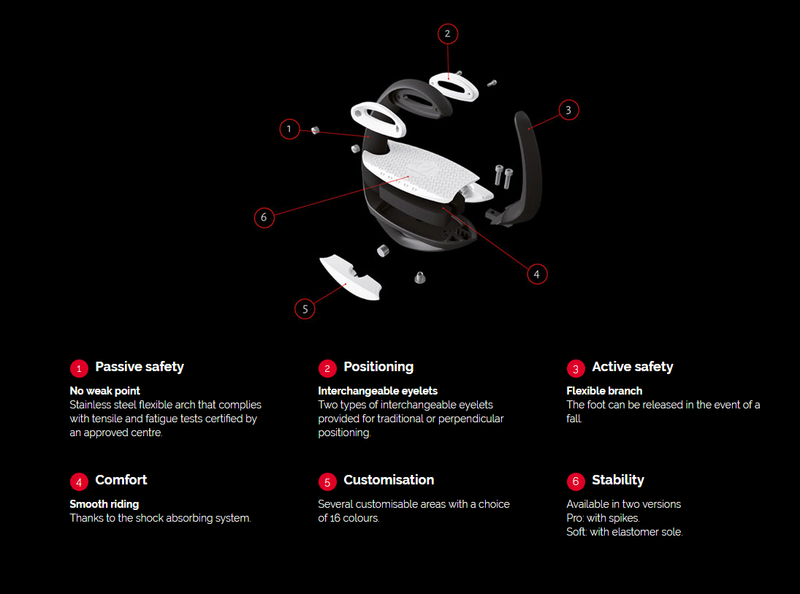 All of this all adds up to unparalleled safety, stability and comfort for the rider. 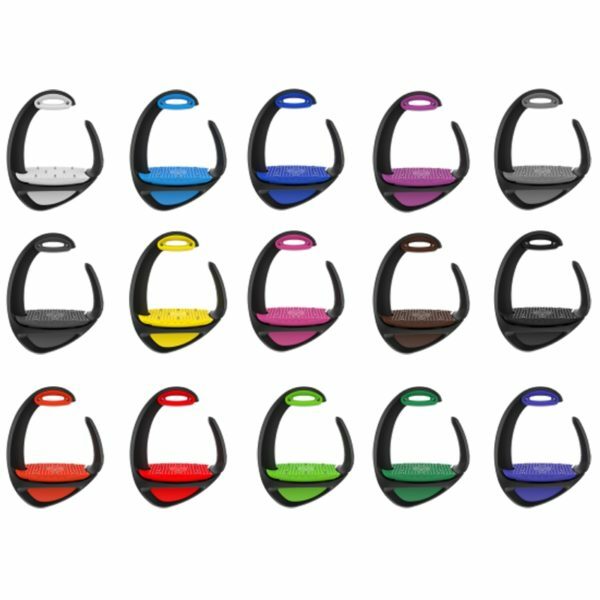 The Spiked model is designed for riders who require maximum grip, and is available in a range of different colours. 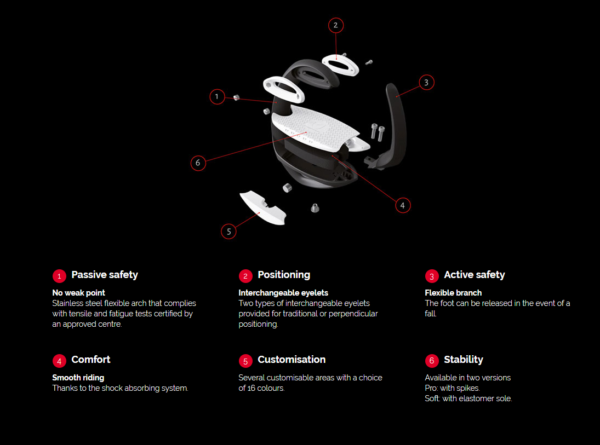 A comfort model is also available for riders who do not require the additional grip provided by Spikes.